We are open for business from late May to early September, but calls/emails are welcome year round. 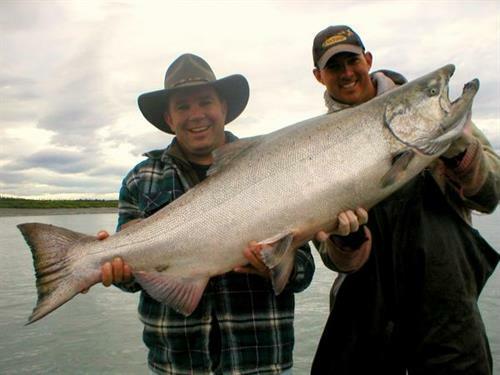 Big Sky is located in the heart of King Salmon country on the Kenai River in Sterling, Alaska. 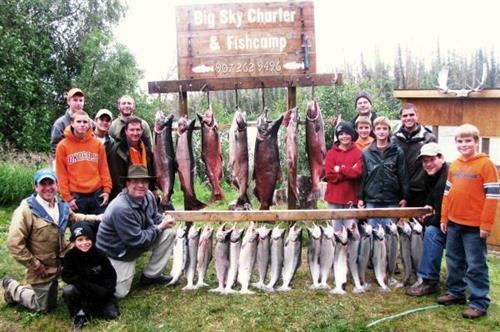 Big Sky is a family owned and operated Alaska fishing lodge. We strive to maintain a balance between the rustic Alaskan experience and the comforts of home. 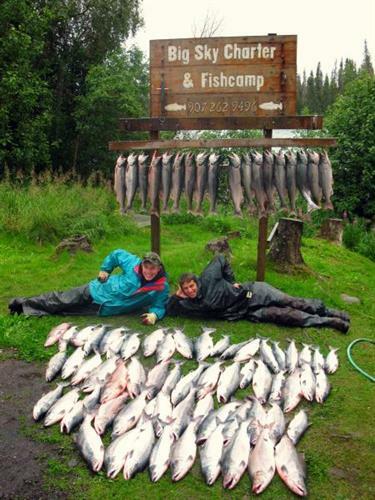 Your very own fishing guide in Alaska provides 6 hour and 9 hour trip fishing for multiple species when applicable. Our boats are Coast Guard approved and designed for your safety and comfort. Professional fish cleaning and vacuum packing as well as taxidermy services are available on the premises. Smoking and canning services are available locally. Excellent shore fishing opportunities are also available at Big Sky. Rods and reels, ready to fish! Our cabins are close to the bank of the Kenai River and are fully furnished, everything is provided to enhance your level of comfort. We have cook out grills as well as an Alaska style camp fire pit. In the evenings the fire pit is the central gathering place for telling tall tales and other fishing related stories. 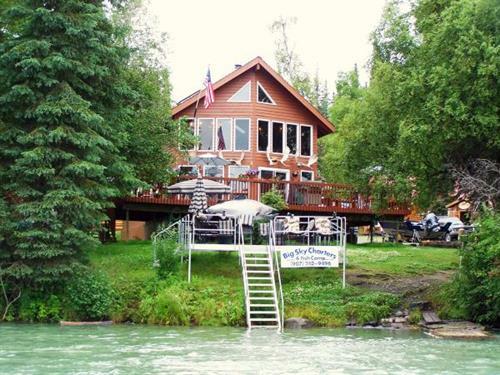 There are also safe and abundant fishing decks and docks that line our Kenai River frontage, exclusively for your fishing and lounging needs. At Big Sky we take pride in being a full-service fishing and lodging operation, with a family atmosphere and a special, personal touch. 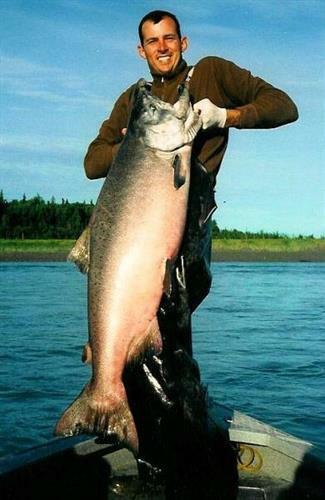 We would like to invite you to experience fishing in Alaska the Big Sky way. We will do our best to fill your visit to Alaska with memories to last a lifetime. 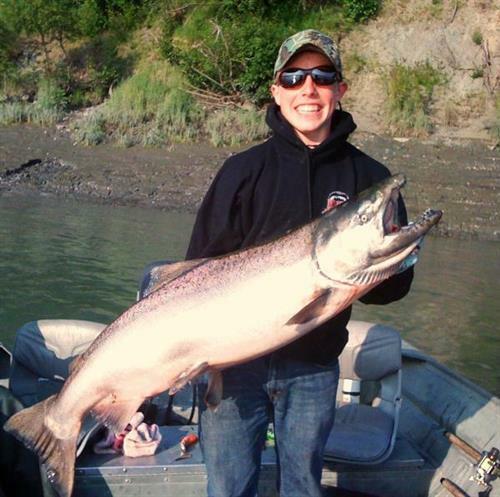 With this in mind, we will customize a fishing and lodging package that will meet your particular needs.